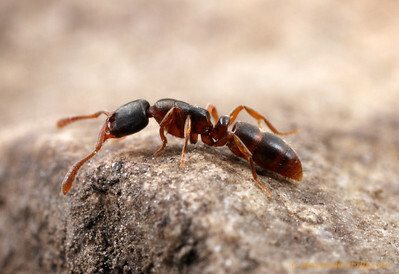 is a genus of small, cryptic ponerine ants whose diversity is centered in the Indo-Australian region. 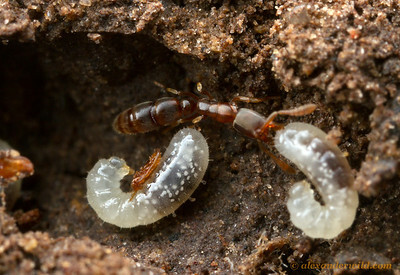 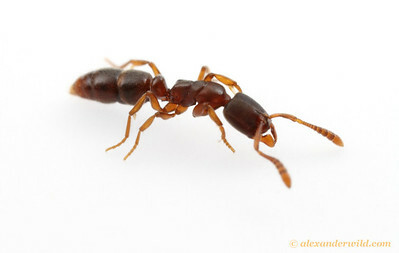 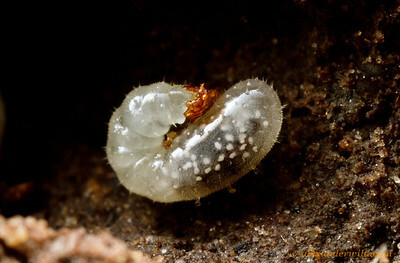 A few species of these soil- and rotting-wood nesting ants are found in the temperate regions of Eurasia and eastern North America, including the common P. pennsylvanica pictured below. 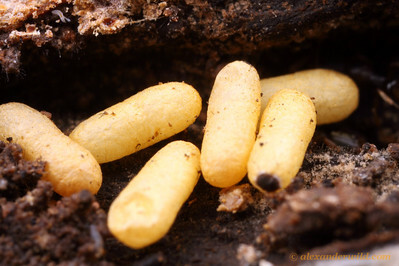 The distinctive yellow pupae of Ponera pennsylvanica, a common woodland ant in eastern North America.